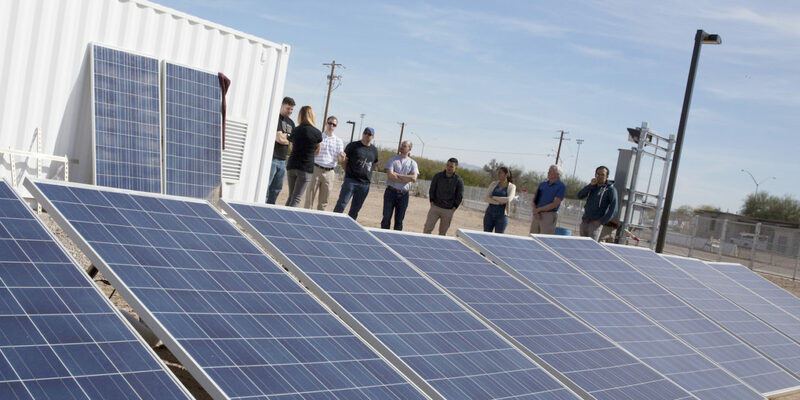 Above: A group of students, mostly veterans, take a look at a microgrid setup during the week long microgrid boot camp, hosted by Assistant Professor Nathan Johnson from March 6-10 on the Tempe and Polytechnic campuses. Microgrids are small groups of electricity sources that can provide power and operate independently from permanent electricity infrastructure. 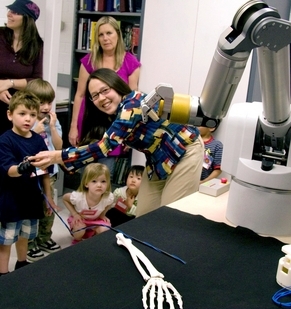 Photographer: Pete Zrioka/ASU. Spring break is a time for students to kick back, relax and recharge. 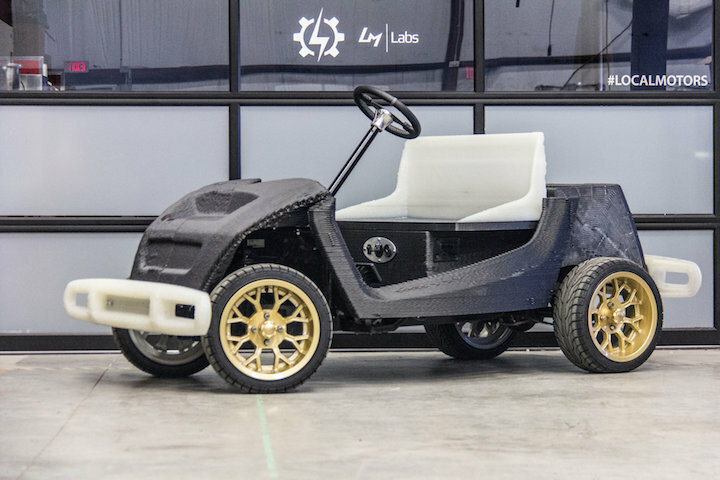 However, a group of 20 students spent March 6-10, 2017 between Arizona State University’s Tempe and Polytechnic campuses, working and learning about a different kind of recharging. The group of student U.S. veterans from the Ira A. Fulton Schools of Engineering participated in a microgrid boot camp, held by Nathan Johnson, an assistant professor of engineering and manufacturing engineering at the Polytechnic School. A microgrid is a small group of electricity sources that can provide power and operate independently from an electric grid. A growing industry, microgrids are applicable in a range of fields, from humanitarian and disaster relief work, remote communities, military use, mining, hospitals and other critical public services and even at concert venues. “In a lot of ways, I really believe microgrids are the future of energy,” said Samantha Janko, a computer systems engineering doctoral student. Janko taught a number of the week’s classes. The week long program, intended to develop job skills for veterans, was open to active military members as well and placed an emphasis on renewable energy and portable microgrids. 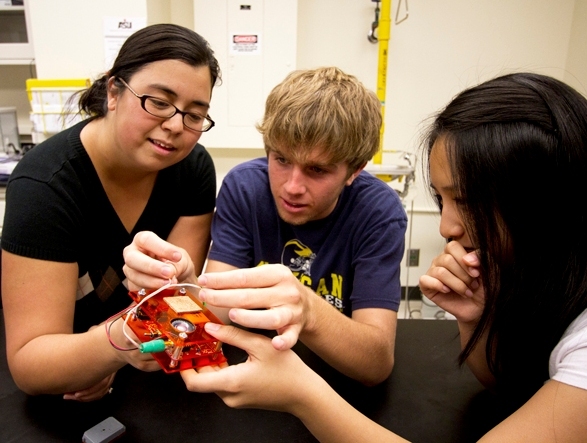 The boot camp is one of six NEPTUNE-funded projects at ASU. NEPTUNE, or Naval Enterprise Partnership Teaming with Universities for National Excellence, is a project within the Office of Naval Research to promote STEM outreach, renewable energy solutions and educational opportunities within the military community. 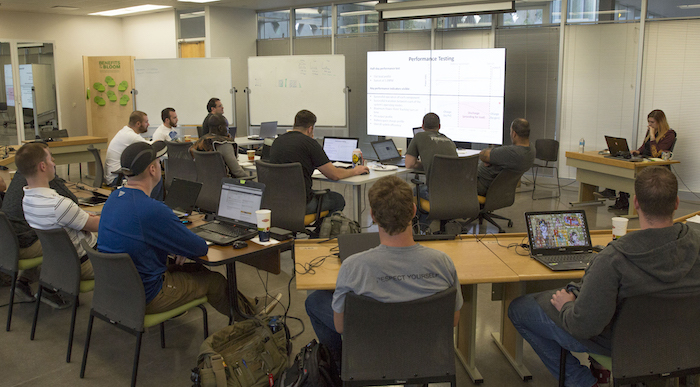 “The microgrid boot camp is an intensive one-week period that provides student veterans with experiences in designing, modeling, integrating, operating and maintaining microgrids. The program couples simulation-based design with hands-on integration to provide an ‘all inclusive’ approach to microgrid education,” said Johnson, the Director of the Laboratory for Energy and Power Solutions, or LEAPS. Attendees of the microgrid boot camp learn the ins and outs of microgrid setup, operation and optimization during one of the week long program’s classes on the Polytechnic campus. Photographer: Pete Zrioka/ASU. In addition, the program brought in industry and government representatives to speak to the attendees throughout the week. 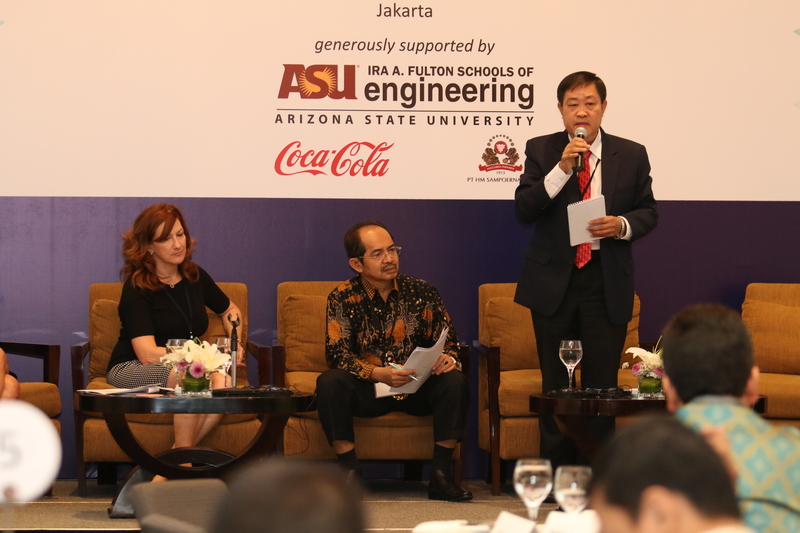 Guest speakers included the German manufacturing and electronics juggernaut Siemens, industrial machinery company Caterpillar Inc., microgrid startup FastGrid from Chandler Arizona, Arizona Public Service, U.S. Agency for International Development and XENDEE, a cloud computing microgrid company. Adam Pellizzaro, an electrical engineering graduate student, said he was interested in the program due to his work with solar panels. Dane Reynolds, an Air National Guardsman and former active duty airman, looked into the boot camp to supplement his work as a radio and satellite communications specialist in the Guard. Pat Lokken, an online electrical engineering student living in South Dakota, also attended to enhance his professional work. This marked the third microgrid boot camp Johnson hosted, the first kicking off in April 2016. Along with the student veterans, two students and a professor from Universidad Nacional Autónoma de México, or UNAM, attended the week long boot camp, the first time the program included international guests. “Our hope is to expand this program from 100 plus people per year to 1,000 plus people per year from the U.S. military and around the world,” says Johnson, whose team recently traveled to Washington, D.C. to complete a training course for the World Bank, and also to Mexico City to visit Universidad Nacional Autónoma de México and Instituto Tecnológico y de Estudios Superiores de Monterrey to discuss collaborations in microgrid research and capacity building.